Organizing a meeting or a corporate event often requires a huge amount of time, effort, energy, and money. Even if it’s just a regular work meeting, you need to put together the list of attendees, pick a date and a place that works for everyone, and you also need to make sure those attendees actually show up for the meeting. If your colleagues are known to not let you know whether or not they’re coming to a meeting, it’s time to introduce them to the simple but effective code called RSVP. RSVP stands for “Répondez, s’il vous plaît”, from the French “Please, reply”. This code has been around forever. If someone’s asking you to RSVP, it means that the host wants to know if you will attend the meeting. So why ask people to RSVP? It tells them that you are not just expecting them at the meeting, but are also waiting for them to reply to the invitation. Asking people to RSVP is a form of guarantee that your invite won’t be immediately forgotten. And, of course, this system makes it easier for you as a host to amend your guest list in case many of the potential attendees can’t make it. Of course, you can call everyone individually, send out a bunch of texts, or ask people to RSVP in an email. Or instead of wasting so much time and effort, you could turn to a web app. 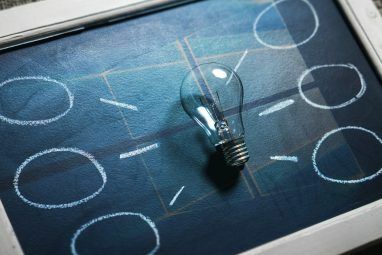 Online meeting tools with schedulers The 6 Best Free Online Meeting Tools to Collaborate with Your Team The 6 Best Free Online Meeting Tools to Collaborate with Your Team Small teams don't need expensive enterprise apps for collaboration. Here are six fantastic tools that you can use to manage your team's data, communication, and more. For free. Read More usually have RSVP built-in. We went and found a few more specialized RSVP apps for your next meeting. These apps let your guests see all the contact information in one place, RSVP with just a click, and even vote for their preferred date and time. Are you ready to take the stress out of planning once and for all? If you’re just looking to collect your guests’ attendance information, turn to RSVPify. It’s an easy to use web platform that creates a form for your attendees with a unique URL that you can share with them. You can edit your guest lists and certain details, like who gets to bring a +1 and who gets to see certain events. The rest is automatic, and you get to see everyone’s replies in the end. To get started, you’ll need to create a free RSVPify account. Then you can add multiple meeting and events and specify the occasion. 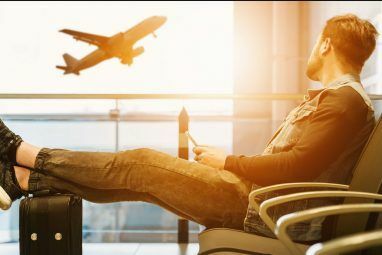 After filling all the basic event info, like name, date, and place, the app will redirect you to the next page to create the main form for the attendants. 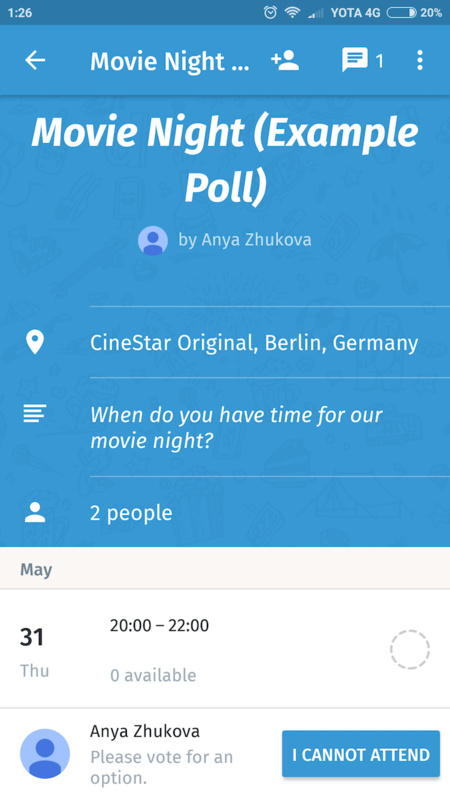 There you can add more detailed information about the event, as well as customize your form. RSVPify is free to use, with an option of upgrading to premium. One interesting premium feature is asking the attendants for feedback after the event. There is also an iOS app that lets you manage the event’s guest list and seating charts on the go. 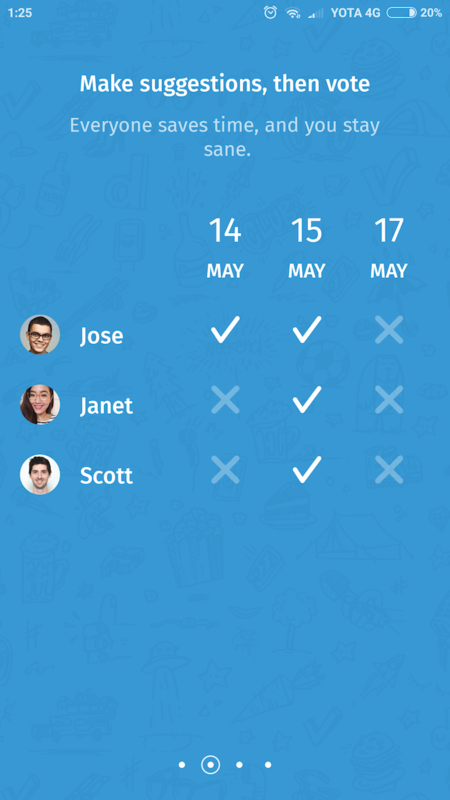 Looking to make the process of inviting people even simpler? User Doodle for organizing group events. This simple app will help you plan your meetings from the very beginning of the process—when you need to find the perfect day and time that works for everyone. Here you have an option of doing all that without even creating an account. But if you decide to sign up for Doodle, you get to enjoy extra perks like tracking your guests’ responses and integration with Google calendar. 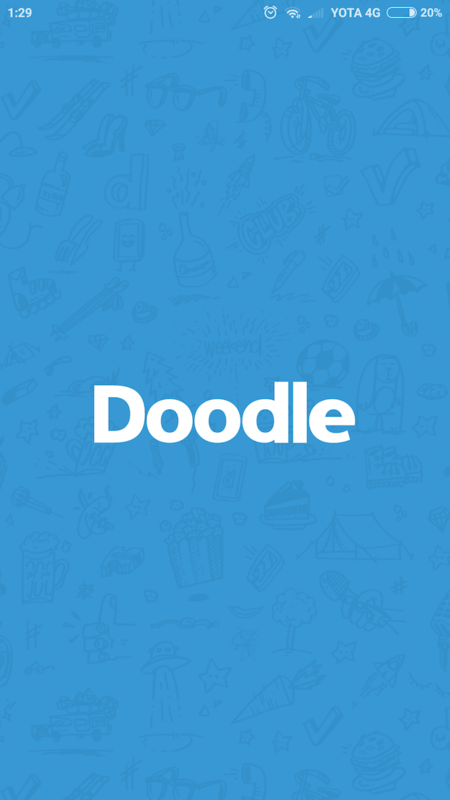 Decide swiftly with the Create a Doodle poll feature. After you finish building your online form, all you have to do is Schedule your meeting, include multiple dates and time options if you need to, and send the form out. Like in RSVPify, you’ll get a unique URL that you can then share with the attendants. For those of you who value the design of your online forms, JotForm is an ideal option. This platform will give you full control over what your invitations look like. The only limitation here is that with your free account you get to create five of those beautiful interactive forms per month. And you can only collect up to 100 guest submissions monthly. Use the attractive JotForm templates. Register for a free JotForm account. When creating a form, you’ll get to browse through various layout options. You can also start your form from scratch by choosing a simple template (like Online Event Registration) and create your RSVP invite. JotForm also has an option of adding multiple choice field with different times and dates preferences. In case you require more than just five forms or 100 guest entries per month, the platform also offers premium plans that start at $19. 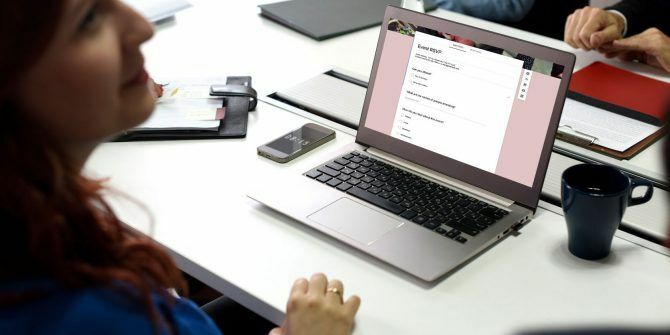 JotForm is one of the finest Google Forms alternatives you can try The Finest 14 Google Forms Alternatives You Should Try The Finest 14 Google Forms Alternatives You Should Try There's a world outside of Google and some pretty great Google Forms alternatives. Find out if these web apps and tools are as effective for you as Google Forms is. Read More . If you don’t feel like figuring out a new platform or an app at all, you can always use Google Forms for creating your RSVP online form. Google Forms is a multifunctional tool that has a few specialized templates, including one for requesting RSVPs. Log into Google Forms with your Google account. Then you can choose the RSVP template, add and change all the relevant information. If you’d like to add a section where people can vote for their preferred time and place, you can do so by clicking the Add question button on the right. Google Forms is a simple and free option that is always available. After creating the form, send it out to your potential attendants, and after they return it the responses will appear on a separate spreadsheet in the same Google Drive folder as the form. With Google Forms, you can also change the form’s appearance. But unlike some of the tools we mentioned on this list, Google won’t organize the attendees’ responses for you. Once you’re finished with your form, you can send it out by adding the guests’ email addresses or by sharing the form’s URL with them. Google Forms is versatile How to Use Google Forms for Your Business How to Use Google Forms for Your Business A form is an easy way to automate a repetitive task. Here we show you how you can use Google Forms for common work or business routines. Read More and can be molded for any use. Our final pick is Free RSVP, which you can use for organizing both your work meetings and personal events. This platform is free to use, and there aren’t any limits on the number of guests or how many forms you’re looking to create. Free RSVP is a good choice in case you constantly need to organize events for the same circle of people. You can create a separate list of your business contacts so that when you need to send out your invites you won’t have to search for their individual email addresses. There’s also an option of importing your Facebook Friends to your contacts list on the platform. Free RSVP offers the ability to upload documents. For example, you can add your business meeting’s agenda 15 Free Meeting Agenda Templates for Microsoft Word 15 Free Meeting Agenda Templates for Microsoft Word These free meeting agenda templates for Microsoft Word can get you off to a great start for any type of meeting. Read More and share it with the attendees prior to the event. Or make it easier for them to find the place where you’re holding the meeting by sharing the itinerary and driving directions. It’s true that some online tools can make your everyday life easier, while others are just there to serve as clutter. Yet when it comes to event management tools, choosing the right one that suits your needs can free up a lot of time for you. 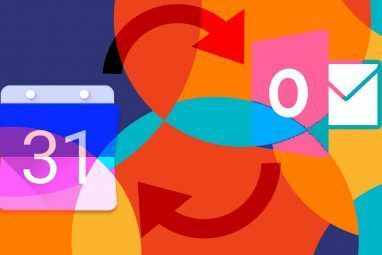 If you often struggle to organize and schedule big events and business meetings 5 Calendar Management & Scheduling Tools for the Year 5 Calendar Management & Scheduling Tools for the Year Keep on top of everything in your schedule. Here are five free tools that can be particularly helpful for keeping your calendar in order. Read More , one of these RSVP apps can become a real lifesaver. Explore more about: Google Forms, Meetings, Planning Tool. I would like to try Free RSVP, as it appears to be very functional, but the website doesn't allow me to sign in with Google, or make an account with it's register function. Additionally, the contact form times out and I'm unable to get support from them. Can anyone help me to solve these issues?